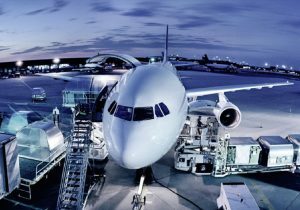 We provide air freight to and from any origin or destination across the Globe. We offer consolidated and back to back direct air services using the most reliable carriers and always guarantee a fast, high quality service. We are able to secure cargo space where ever and whenever you need it. In Air Import/Export operational part, KGL having master agenda for smoother, safer and economical services from pick up to door delivery. We serve you for instant delivery requirement in various modes such as Express Door, Faster Gate, Economy Window and Deferred. Express– We work for you urgent requirements, where shipments are highly time critical, we connect the just next immediate flight /direct services with least possible transit time and express delivery of your shipment. Faster– Considering the shipment is time critical, Fast and safe delivery is ensured with 2-3 days of transit time for our valued customers. Deferred– We offer a good option for small & Home User customers as per their requirements with least minimum cost a minimum transit time. Particularly in the event of urgent dispatches we are also be available for processing beyond our usual business hours. Our air freight specialists will arrange smooth and trouble-free transport, transportation-compatible packaging documentation and clearing formalities for your valuable cargo. For the safe and risk free transit of your shipments we also take care of Insurance part of your shipments. Our qualified, experienced and best Customer services executives provide step-by-step updates of your shipments via Email and Phone. Our experts are happy to assist you in relevant documentation with rotational working power of 24*7.